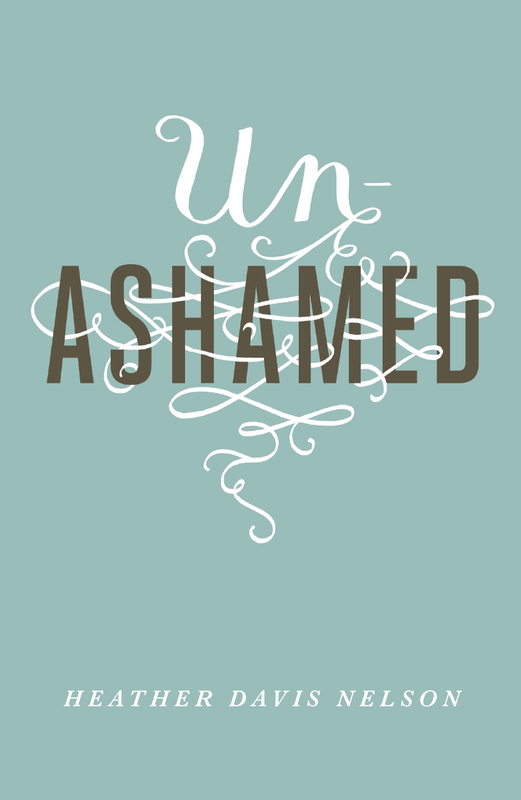 Offering relief from the lingering effects of shame, this tract adapted from the book Unashamed by Heather Nelson points to the gospel as the ultimate source of freedom and healing. ANNA WEEPS over the phone with her best friend as she describes a marriage that feels hopeless and lifeless. No matter what she tries, her husband cannot seem to see her, care about her, or change the behavior that is destroying their marriage and their family. Jake is alone. He assumed that by age thirty he would be well on his way to his dream of a successful career, marriage, and starting a family. Instead, Jake works an unmotivating job and can’t seem to gain the courage to talk to the woman he admires from afar. Even after losing significant weight, Lily still views herself as several sizes larger than she is and doesn’t connect someone discussing“a thin woman” as describing her. Can you relate to these scenarios and forms of shame? Perhaps your experiences have been different, but despite its manifestation, shame is something we all endure. Shame is the feeling of “not good enough,” according to our own standard or our perception of someone else’s standard for us. It’s what keeps us from being honest about our struggles, sins, and less-than-perfect moments. Whereas guilt is associated with actions, shame taints your entire identity. At its core, shame is fear of weakness, failure, or unworthiness being unveiled for all to see. It commonly masquerades as embarrassment, and it shows up when you attempt something new, or when you’re unsure of your place in a group. The ultimate origin of shame is no less dark than the Accuser of our souls himself, Satan. The Evil One always wants us to doubt whether we belong to the kingdom, whether God loves us, and whether we are truly forgiven and free of our sin and others’ sin against us. How can we break the cycle of reacting to shame with more shame? In the “great shame exchange,” Jesus took our shame and clothed us with joy. The gospel—the good news of Jesus Christ—means that through Jesus’s life, death on a cross, and resurrection from the grave, all of our shame is exchanged for honor, beauty, joy, comfort, justice, favor, and freedom. This shame exchange is costly. It is very costly for Christ, but not for us. All it costs us is the humility of admitting we cannot cover our own shame. We receive honor; he took our shame. We are lavished with grace; he was stained with our sin. We receive salvation; he experienced damnation. When Jesus cried, “It is finished” from the cross, he bore our sin, guilt, and shame, that we might know forgiveness, redemption, and freedom. • Jesus comes to give honor instead of dishonor. • Jesus clothes you with beauty, removing the ashes of shame you’ve worn for your sin or for the sinful atrocities committed against you. • He comforts you as you mourn. • Whether in this life or the one to come, he brings justice for the injustice you’ve suffered. • Jesus brings favor instead of the vague cloud of constant disapproval. Shame thrives in secrecy. But fighting against shame moves you out of your lonely bunker of one into vibrant community. It does so one brave conversation at a time. It does so one relationship at a time. It will not be smooth and seamless. Expect your initial attempts to be flawed and broken and bumpy. The Bible is unique in its approach to community because it holds in tension both the ideal vision of people living in harmony with one another and the reality that our sin and brokenness will often disrupt this harmony. It allows for repair of the inevitable fissures that happen as we try to love one another perfectly with hearts that are imperfect. Living in the reality of God’s forgiveness of us requires a posture of forgiveness toward others. And when we receive forgiveness from others, it makes us grateful for God’s forgiveness of us, and the cycle of redemption rolls along like the reassuring tide of the ocean’s waves. The battle against shame is definitively won through the gospel of Jesus and his victory over sin and death—the freedom that follows Christ’s victory arrives through something as simple and as hard as faith. This type of faith agrees you cannot rescue yourself from your shame, that your attempts to clothe yourself have been as futile as the fig-leaf loin cloths our first parents in Adam and Eve crafted. It’s a faith that addresses the complication of shame mingled with guilt. This faith gives you an underlying confidence that your sin has truly been atoned for and taken away by a dying-now-resurrected Savior. By faith, we know that there will be no more mourning or tears or death in the life to come. We look back to the Garden of Eden to see that there was no shame before sin. Unashamed. It’s where we began, and it’s our destiny as the redeemed ones in Christ. The Christian’s ultimate hope for shame is that we will be clothed in the honor of Jesus Christ when we stand before God in all his glory. Focusing on this sure and true shame-free destiny gives us hope to keep going—to keep battling shame’s dark lies, to enlist others into our journeys with us, and to seek to make our church communities a small though imperfect taste of the life to come.